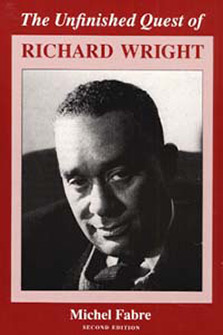 Widely acclaimed for its comprehensive and sensitive portrait of one of America’s most renowned writers, The Unfinished Quest of Richard Wright presents a profound and thorough interpretation of Wright’s work. It is at once affective and human, very moving and complete. Michel Fabre understands both the man and the writer. Michel J. Fabre was professor emeritus at the Sorbonne where he directed a PhD program and a Research center in African American studies and post-colonial literatures from 1975 to 1993. He served as president of the Cercle d’Etudes Afro-Américaines. He has published, edited, or translated over twenty volumes dealing with black America, slavery, African American literature and its reception abroad and also with writers Richard Wright, Chester Himes, Claude McKay, Chinua Achebe, Wilson Harris, Ngugi wa Thiong’o, and Margaret Lawrence.